Choron sauce is a variation on the classic Béarnaise sauce made by adding tomato paste to the basic Béarnaise. Like Béarnaise, Choron sauce is typically served with grilled steak. It is also delicious on eggs, chicken, fish, and vegetables. 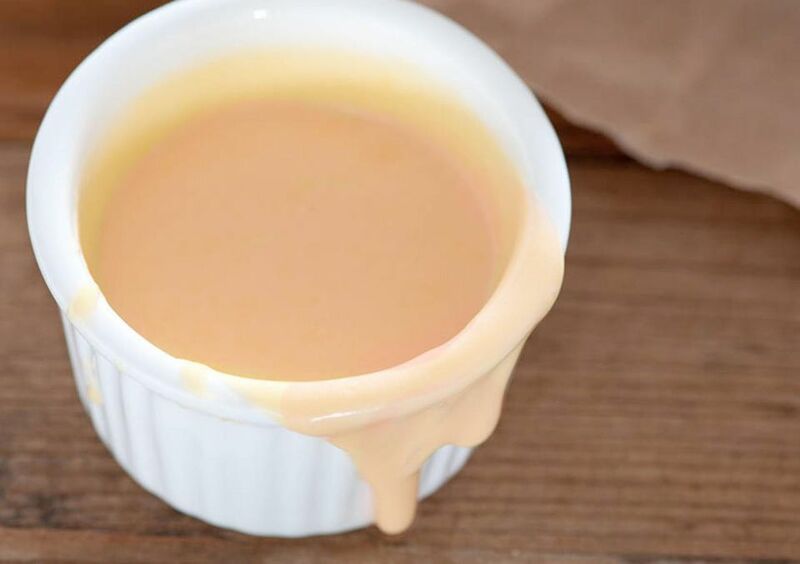 It is also known as sauce Béarnaise tomatée. At the basic level, you might think of Choron sauce as similar to adding ketchup to mayonnaise to make Russian dressing but served warm. The tomatoes introduce a sweet element to the sauce. Depending on the recipe or your preference, the form of the added tomatoes varies. This recipe keeps it very simple in adding already-prepared tomato paste. Other recipes call for making a tomato purée or using diced tomatoes. Some references say that the tarragon and chervil typically used in Béarnaise sauce are omitted if you are going to use it to make Choron sauce. You will need to start with the Béarnaise sauce, which is an emulsion of egg yolks with melted clarified butter, vinegar, shallots, tarragon, chervil, and peppercorns. If you have a favorite Béarnaise sauce recipe or method, you can use it, then stir in tomato paste at the end. Heat an inch or two of water in a saucepan over a medium heat. In a separate saucepan, heat the vinegar, peppercorns, shallots. and half of the tarragon to a simmer and reduce until the mixture is nearly dry, with about 2 tablespoons of liquid remaining. Transfer the liquid to a glass or stainless steel bowl (not aluminum). Add the egg yolks and whisk continuously until the mixture is light and foamy (about 1 to 2 minutes). Set the bowl on top of the simmering saucepan of water, not allowing the hot water to touch the bottom of the bowl. Whisk the egg-vinegar mixture for a minute or two, until it is slightly thickened. Remove the bowl from the heat and begin adding the melted clarified butter, a few drops at a time, while whisking constantly (but not too quickly or the emulsion will break). As the sauce thickens, gradually increase the rate at which you add the butter. Once all of the butter is added, strain the sauce through a chinois into a new bowl. Stir in the chervil and the remaining tarragon. Stir the tomato paste into the Béarnaise sauce. Season to taste with lemon juice and kosher salt. Serve right away, warm, over meat, fish, or vegetables. Sauce Choron is named after its creator, Alexandre Étienne Choron, a French chef who was chef de cuisine at the Voisin restaurant in Paris during the late 1800s. He has gone down in history as the chef who improvised to serve his elite clientele during the Siege of Paris by the Prussian army. With Paris cut off from supplies, the populace ate any meat available. Choron turned to the animals at the zoo and served them to his guests. The menus contained rare dishes such as elephant bourguignon, made from the meat of three elephants that met their untimely fate to feed the populace.